Tommy “Tombo” Bolton, Oklahoma City, Okla., has had a passion for making motorcycles go quicker since he started helping his friends work on their minibikes more than 45 years ago. 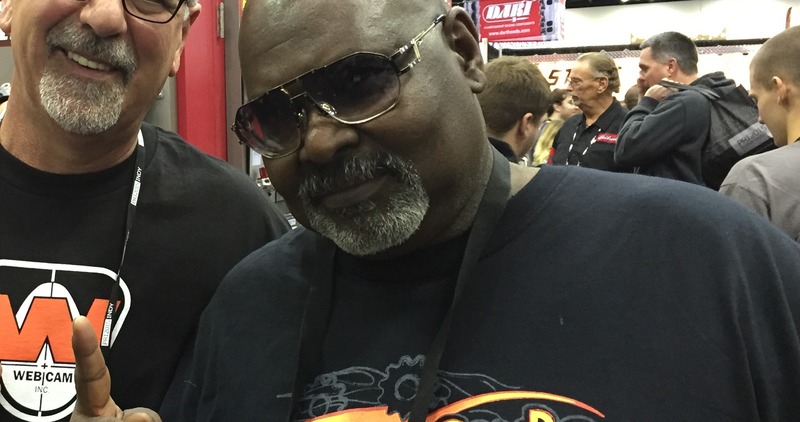 Well respected, Bolton is the first African American dragbike racer to eclipse the 200 mph mark and he has amassed more than 25 championships. With some incredibly strong support from new and old friends, Bolton is poised for one of his most successful race seasons ever. 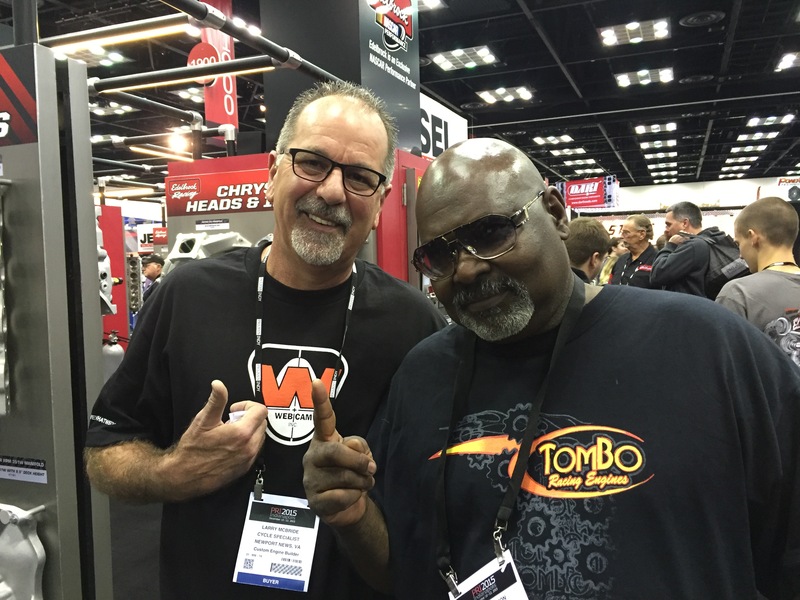 Tommy Bolton and Larry McBride at the PRI show. Bolton is proud to announce a partnership with U.S. Chrome, a leading performance coating and cylinder plating company. Need nikisil? Tommy Bolton and US Chrome have you hooked up! Nicom is pretty awesome! US Chrome’s awesome display at the PRI show. Tombo also set-up a better-than-ever program with the lovely ladies of Web-Cam, the nation’s premiere camshaft manufacturer. Bolton also has a new deal with top piston and connecting rod manufacturer, CP-Carrillo Piston and Rods. “Oh man, Snake (Peter Calvert of CP Pistons) and I have been friends for so long, Lionel Richie had hits on the radio when we used hang out,” laughed Bolton. 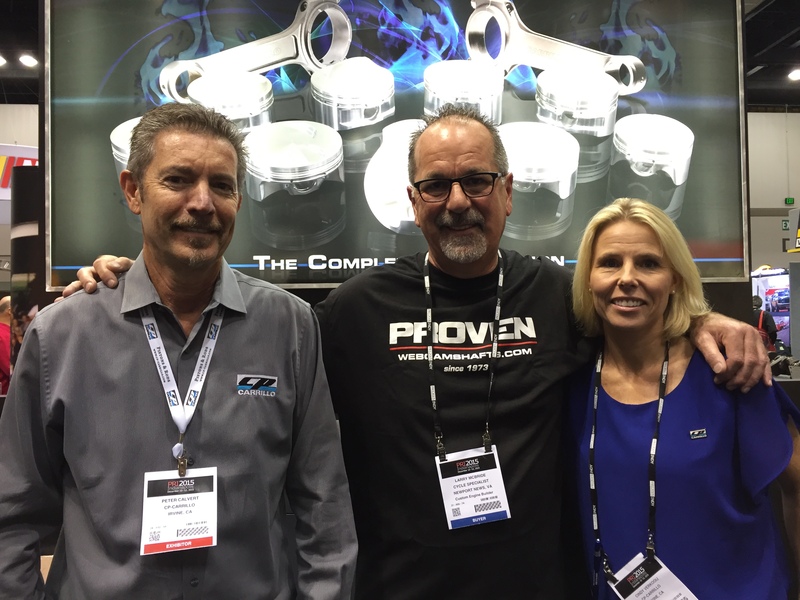 CP-Carrillo Piston and Rods’ Peter Calvert “Snake” and Cindy Verkooij with Larry McBride at the PRI show. Bolton said RC Components and another old friend, Rick Ball (RC owner) created a unique partnership for 2016. 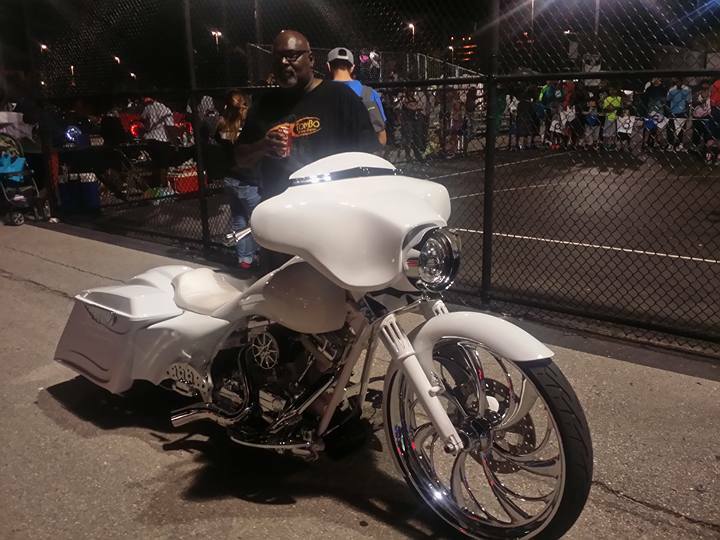 A mean Tombo Badass Bagger. Bolton says Torco Oil, MyBikerAttorney, Schnitz Racing and Fast by Gast and others have also stepped up their support in 2016. Bolton expects others to come on-board as well, but can’t make official announcements just yet. Bolton’s team plans on following the entire ManCup and PMRA series and will also attend select PDRA and other events. 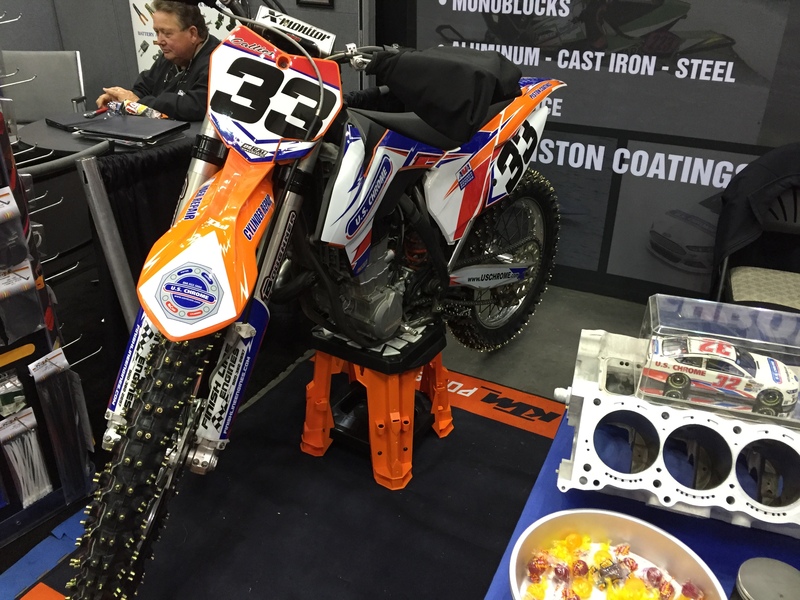 The future looks bright for Tommy Bolton’s race team and customers. 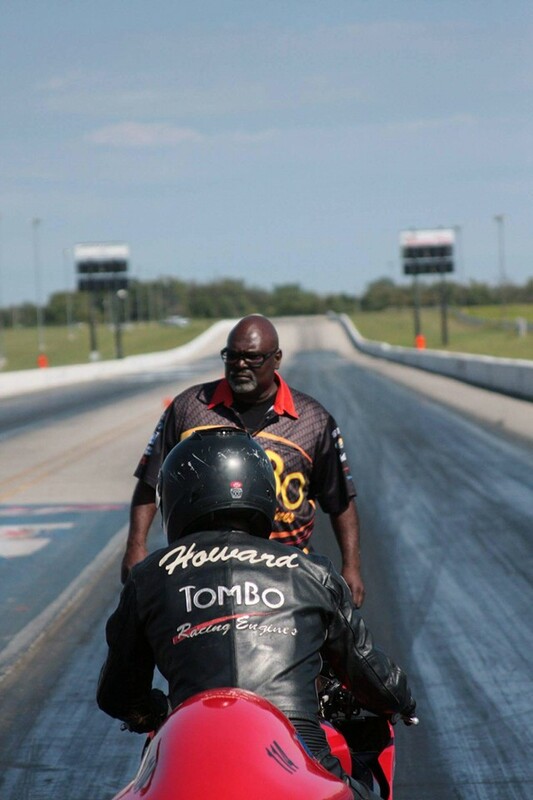 The Team Tombo riders for 2016 include; Glen Nickelberry (Funny Bike and Pro Mod), Adrain Lottie (Pro Mod), Kemit Lottie (Pro Mod), Tim Howard (Top Sportsman, Super Comp, Super Street, Street ET), Jimmy Cook, (Super Comp, Street ET), Mac Macknight (Street ET, Super Comp), Louis Brown Jr. (Street ET), Big Macy Johnson, (Street ET and Superstreet)Brain Wood (Top Sportsman, Super Comp), Keith Ballard (Super Comp) and Aaron Vaugh (Super Comp, Street ET). Interested in joining Team Tombo? Visit the site by clicking the banner below and reach out to Bolton.